One of my personal favorite card games to play is UNO. I play this game against young people and adults. No matter who my opponents are, there is a tense, ultimate competition. I actually find it quite thrilling to be forced to “draw 2” or be surprised by my neighbor who slams down the “draw 4” on the table. You know why? These plays are the best opportunities for great comebacks! Sometimes individuals or groups think they can hold you down by throwing down their best card, but you can still win! This is a savory, sweet taste of victory that can also be achieved in life. So what’s the strategy? How can you come back and win after being dealt a bad hand? You may want to fly off the handle when you have been dealt a bad hand. You might also feel the need the let everyone know how unhappy you are or engage in a pity party. Doing this allows your opponent to know they have you in a vulnerable place–don’t give them that satisfaction. Instead, relax, look at what is in your favor in front of you and make your best move. 2. Always remember you can come back from a setback. Mindset is everything. Stop speaking negativity to yourself, counting yourself out before you begin, being your own worst enemy. Instead, be your own cheerleader. Jump the highest and scream the loudest for yourself no matter how many cards of life you are holding. You can and will win with faith and determination! Stay focused on your hand. Plan your next move. Put on your poker face and fake it until you make it. Don’t stop and look at the how few cards your opponents have or how happy they seem to be to lead the game. This is comparison–an unhealthy mental practice that must be unlearned. Being unfocused will distract you from executing your exit strategy. 4. Never quit because of what it looks like. Yes, you could give up… you could just throw all of your cards in and wave the white flag of defeat. But you would have never known the next play, a play that could have swiftly gotten you back into the lead. Who wants to live with questions or regrets? You could of, would of and should of stayed in the game! 5. Take it one step play at a time. There is no quick way to regain your lead quickly other than pacing yourself. Living in a microwave society has caused many to want a full course meal in 2 minutes, to win an entire game with one play. Trust the process. Be patient. Your UNO is coming! Oh my goodness, we should play a round or two! I love this game and no one wants to play with me. :/ Love your points too. I would love to, Stacie! I appreciate your support! Thanks for stopping by. This was a well needed read. Thank you for sharing. 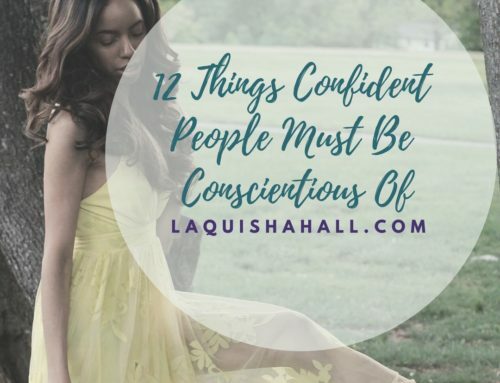 I loved your visuals with this article. 2. Always remember you can come back from a setback. This is so key. I know i would be paralyzed after a setback. This year, I’ve decided to jump back up. Absolutely Tanya! Thanks for visiting! I love this analogy! Uno is one of my favorite card games too. I know that no matter how many cards you have that you can still possibly win, it what I like about it most. Applying this to life is so on point! Especially “Keeping your cool” I can do that fine while playing cards, but need to work more at that in life. Great post! Thank you, Ayanna! Be encouraged. You’ve got this! I have to remind myself to keep focused when I don’t get my desired outcome. It is easy to get thrown off your game. Love the comparison to one of my families favorite games. My kids love playing uno even the 4 year old. Great tips. Didn’t think of applying it to everyday life. I should add to be intentional and at least have some kind of strategy with what you’re doing. 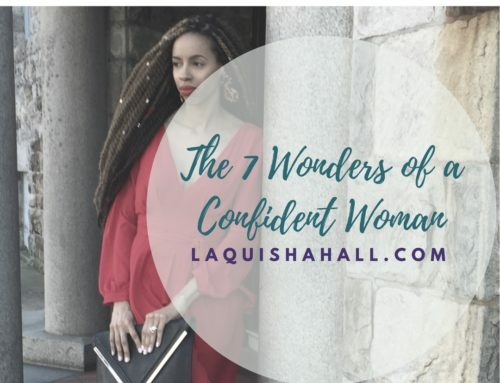 Great tips especially, “you can comeback after a setback.” I believe that it isn’t over until the fat lady sings and I don’t even allow her to open her mouth! LOL! LOL! I love it, Ty, and I absolutely agree! We love UNO around here. 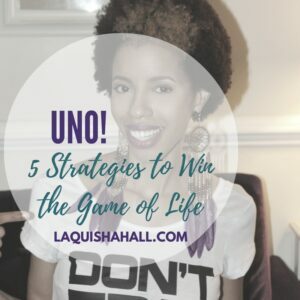 Never thought about applying my game winning UNO strategy to life! Very creative post! 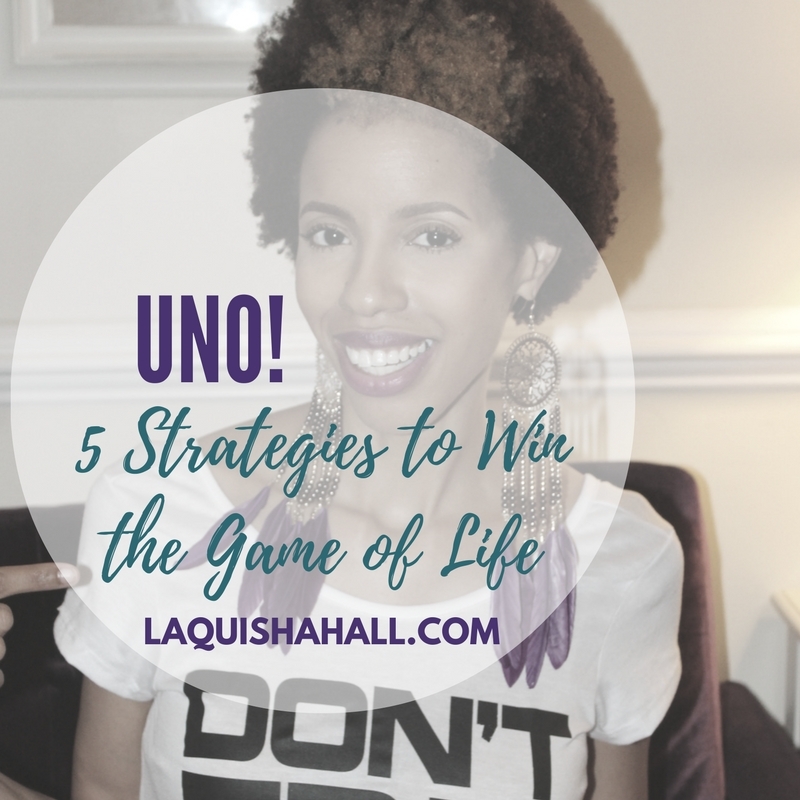 I love the metaphor with the game of UNO…great tips!